James Caan is one of Britain's most successful entrepreneurs. Dropping out of school at just 16, he started his business life with no qualifications and two pieces of advice: 'Observe the masses and do the opposite' and 'Always look for opportunities where both parties benefit'. Armed with just his father's wisdom, his own unique charm and the Yellow Pages, James Caan built a market-leading business with a turnover of more than #130 million from a broom cupboard. The Real Deal is the incredible story of James Caan's remarkable life. 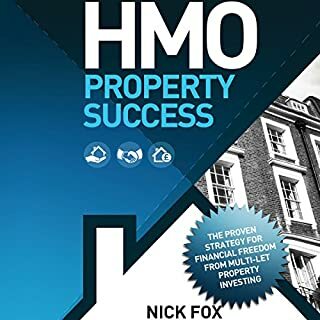 From his childhood as a Pakistani immigrant in Brick Lane in the 1960s and his decision not to go into the family business, to the phenomenal success of his first company, this book traces James's journey to both financial and personal maturity. It deals with his disappointment upon realising his goals too early, and offers a frank account of what success at 30 really means. 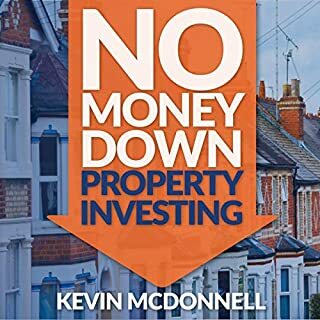 The Real Deal brings us bang up to the present day, including the truth about his role on Dragons' Den, what his charity work in Lahore, Kashmir, and Kosovo means to him, and how he has come to completely re-evaluate the true value of money. This rag-trade-to-riches story is an intimate account of an exceptional journey. 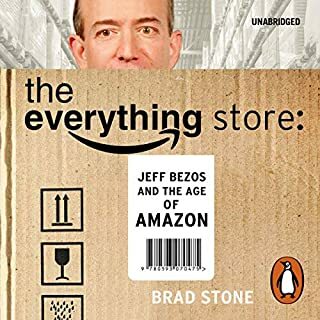 It is a searingly honest exploration of James's path to success and a source of inspiration for anyone looking to emulate his extraordinary business skills. I looked at the price and the 2 1/2 star rating and thought it can't be up to much but I like his style in the Den so I took a punt. James Caan tells a fascinating story, his fears, his joy and his unorthodox perspective on moving ahead of the pack in business. A charismatic maverick with a spellbinding story to tell and the fact that he reads his book makes it so much more real. As a small business owner this has truly inspired me to take my business to the next level. 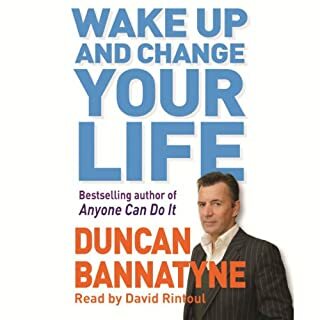 WARNING: This is a cannot stop listening audiobook so make sure you have plenty me time! A good listen. Full of small tips and tricks as well as some interesting strategic stuff. But I have been ASTONISHED that almost everything in his life appears to start with a lie. And even more amazed that he's rather proud of that. Whether it's his relationship, getting clients, pushing candidates or starting new divisions, he can't appear to start anything without first telling a fib. 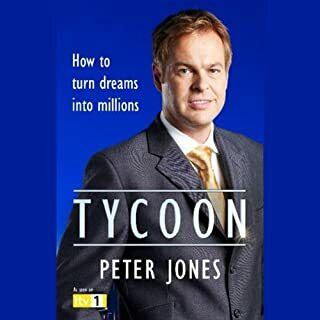 I'm afraid this book makes it all too clear why recruitment consultants can have a bad reputation - a focus on the Porsche James has "painted a blue sky" about rather than desire to help someone find the right role. a sad state of affairs. But that aside, he's clearly a great motivator and an astute entrepreneur. the book is worth getting. Giving his incredible success you can forgive James Caan's laboured reading style. The book is full of fascinating anecdotes. His audacity in pursing his eventual wife, deciding on a whim to change his name and his many successful charitable endeavours were actually more interesting then how he made his money. A very real story which a lot of life lessons contained within it. James Cann, delivers a fascinating account of his rise to the top. 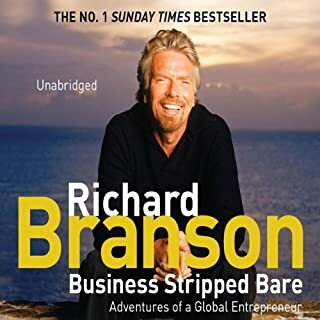 This audiobook provides any budding entrepreneur with masses of tips and insight into the man behind the sharp suit. 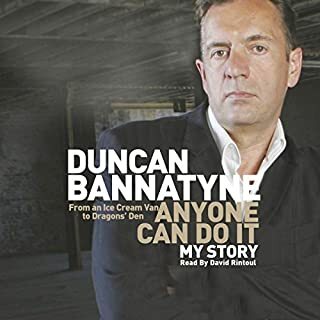 James Cann takes you from his roots in the bustling ‘Brick Lane’ to the heady heights of selling his recruitment business for millions, to ultimately becoming a Dragon on Dragon’s den. From maverick business man to respected philanthropist, James Cann has lived the life that most can only dream of. He provides you with the route-map to success and encourages you to live a remarkable life, no matter what business venture you decide to pursue. Enjoy, learn and prosper. Its a really good listen, well told with good advice. 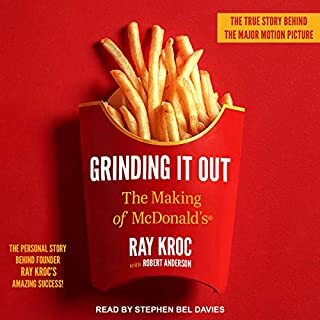 I found this audio book very enjoyable to listen to and very interesting. I have watched Dragon's Den where James Caan has appeared. I didn't really like James Caan at first when I watched Dragon's Den because I didn't know anything about him. 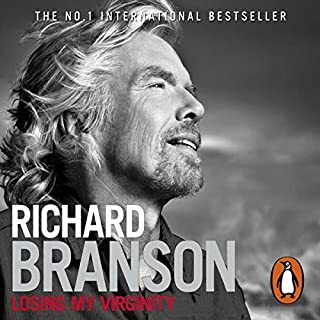 However after listening to this audio book I have grown quite fond of him. 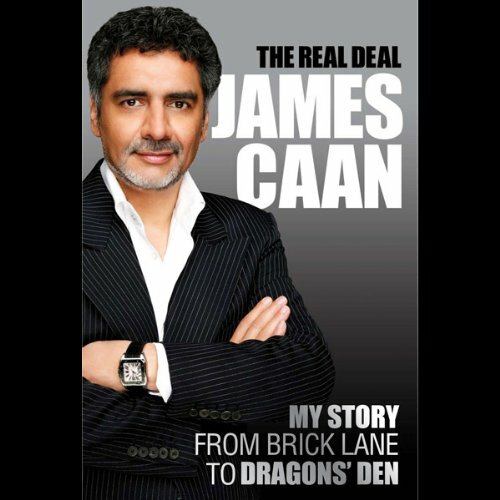 James Caan not only shares his story from his humble beginnings in Brick Lane, but he also gives good solid business advice to anyone who wants to receive it. 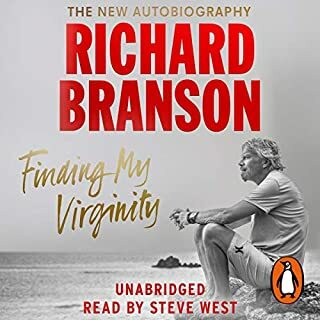 The only downside which I found with this audio book is that it is only the abridged version. If the book was read in its entirety then it would have been awesome because I'm sure James Caan had a lot more exciting stories which he could have shared in this audio book. Besides that I enjoyed it. A very inspiring story about his success which is defiantly worth the listen! Also narrated by the author which is always great. Great story of how James became the man he is today. A lot of inspiring and thought provoking sections. Packed with value. Although this book follows the typical business biography format (e.g. I was born here, I did this, I accomplished that) it stands above many others in that Caan comes across as a sincere, grounded, like-able guy and offers some insight into his motivations, hopes and worries. His willingness explore the conflict between his own aspirations and those of his father is refreshing and make his story personal. For much of the book the story is not rushed and you gain some real perspective on his experience but the exceptions to that are significant. The most notable examples are the lack of detail dedicated to his two most break-through and career changing events. 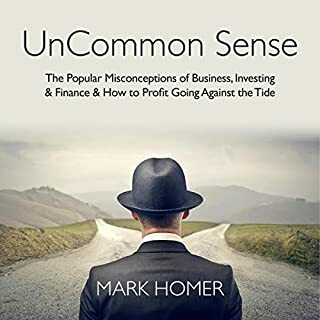 Sure, once somebody has achieved success and wealth it is interesting to learn how they think and what they do when they are on top of their game, but more focus on the defining moments that lead to the success would have taken this book from pretty good to a must read. 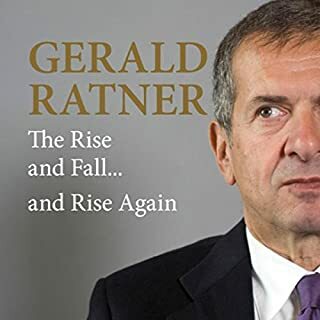 He could have chosen to let the reader experience the leap of faith that every first time entrepreneur takes while sharing the set backs as well the first taste of success. Instead of doing that Caan goes from a 19 year old high school drop out who stumbles into a recruiting job to the manager in charge at the flag ship location of one of Brittans most renown recruiting companies in about 1 page. He repeats this mistake in the section about opening his first business. 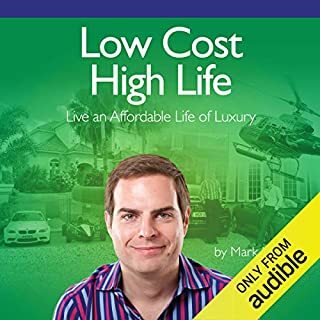 Here, the time between using a personal credit card to fund the start up of his clothing store and realizing enough profit to purchase an outrageous home and open a second location seem to pass with just a brief mention about learning the difference between capital and cash flow. 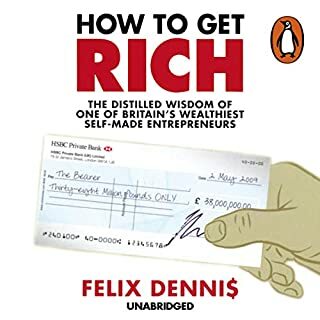 All said, this is a good read especially for entrepreneurs hoping to find motivation in the story of a self-made gazillonaire. It's weird that a business book could be so personal and emotional. 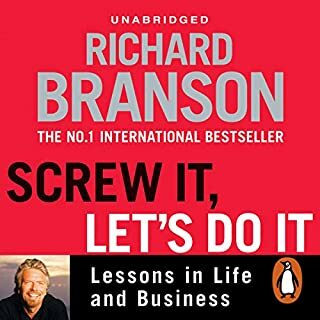 I found his life just fascinating and full of good business lessons. I am a 8 years audible fan. The book was recommended through the algorithm of what I should like. I purchased it and i was so pleasantly surprised. James Caan career and life story as of today is so well written, the audio is fabulous. He does a fantastic job at story telling. I didn't even know of him prior to this book. the book is entertaining, educating, stimulating. Thank you for sharing and you had an amazing impact on how i will continue my career in technology and serve the world. James Cann is the Mark Cuban of the UK. 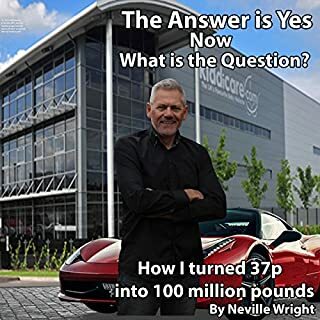 He is a celebrity in part because of his participation in the Dragon's Den, which is the BBC version of Shark Tank (although it started years earlier). To be honest I did not know about James until I got this book. Now I am a fan. I found James' story to be personal, detailed and incredibly insightful. I made a ton of notes even though I have been in business for decades. His story, and the process he followed to build Arthur Mann, his first super successful company, are enlightening and should guide any entrepreneur who is aspiring to open a business. Aside from the business insights, I enjoyed listening to his story, his context and his personal story from Pakistan to a business celebrity. If you could sum up The Real Deal in three words, what would they be? 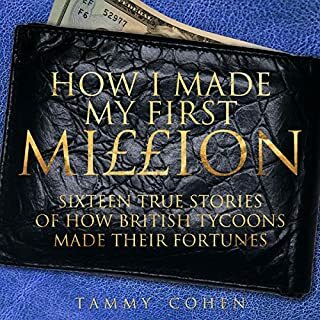 A fantastic story of rags to riches and how to create something from nothing using real world examples and experiences. I highly recommend this book for any entrepreneur. Which character – as performed by James Caan – was your favorite? Where does The Real Deal rank among all the audiobooks you’ve listened to so far? 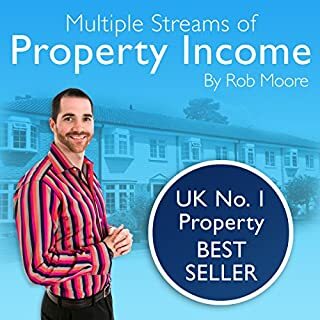 This is definitaly one of the most enjoyable books i have listened to. I began in the morning and took the day off work to finish it. I really liked listening to James Caan. He engaged me from the beginning and his life story is truly amazing. I could not put the iPod down until I finished the book.